Anger and injustice need hearing, not treating. Unhappiness can be healthy. Credit: http://www.versobooks.com. All rights reserved. Gary Becker, who died last year, should be considered one of the most influential thinkers of our times. A leading member of the Chicago School of economics since the 1960s, his influence has been far more pervasive and subtle than that typically attributed to economists. Where many high-profile economists like Jeffrey Sachs and Lawrence Summers get to shape how specific public policies are made, Becker's legacy has been a more profound and ethical one. In a sense, he has shaped how human beings are made. Becker was a pioneer of what has come to be known as 'economic imperialism'—the extension of neo-classical economics into new, seemingly non-economic territories. This includes areas such as the family and education, which Becker analysed using the transformative concept of 'human capital'. Human capital is a relatively familiar term nowadays, and has been a critical concept in the justification for tuition fees in the UK, as Andrew McGettigan has explored. Yet the idea that humans are a type of capital was controversial when it first appeared. As Becker put it in his 1992 Nobel Prize acceptance lecture, "until the 1950s, economists generally assumed that labour power was given and not augmentable". His concept of human capital changed all that. As Michel Foucault noticed with brilliant prescience in his 1978-79 lectures on neoliberalism, Becker's theory provided a template for how individuals have come to view their own lives. Education becomes a strategic investment in oneself. Relationships are economic contracts, with costs and benefits for each party. And we are increasingly conscious that our diets, exercise regimes, sleep and relaxation influence how attractive we appear and how effectively we work. The underlying implication of Becker's work is as much existential as it is economic: each of us decides how successful they wish to be. Habits and behaviors of the mind (or brain) can now be added to this roster of choices. Mindfulness, digital detoxing, cognitive behavioral therapy, self-help and evidence-based relaxation techniques (such as spending more time near foliage) are all premised on the idea that people are, in Becker's word, 'augmentable'. The feelings that they have can be altered, if not by the solitary individual concerned, then with the help of a therapist, digital app, wearable technology or some combination thereof. This becomes most manifest in the positive psychology mantra that happiness is a 'choice', something now picked up by Coca-cola with their #choosehappiness marketing campaign. It's possible that this idea can provide a momentary uplift to someone coping with mild depression. But it seems far more likely to motivate those who already have power to shape their own circumstances, namely the rich and healthy. For example, it is the central idea of the management guru Shaun Achor, who explains to businesses and individuals how they can achieve an 'advantage' over their rivals through strategically building their own happiness. The neuroeconomist Paul Zak suggests that happiness is a 'muscle' that we must remember to exercise regularly, to keep it in good working order. Supported by a growing armory of mood-tracking apps and stress-monitoring wristbands, emotions are now something to be included in our workout routines. What is perplexing about this deeply individualistic worldview is that the measurement of happiness has, in the past, been used to pursue a very different type of political agenda. 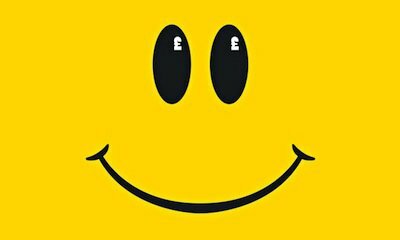 The measurement of happiness at a national level was first attempted in the mid-1960s, and was soon a central technique within the 'social indicators' movement, which seeks to offer an alternative to materialistic, market-based notions of value. The work of the UK think tank The New Economics Foundation demonstrates the terrific ingenuity that often characterizes this project. National happiness indicators, which are now collated by many official statistical agencies, can provide an important basis for political critics and campaigners. They highlight the psychological damage that is done by highly competitive, unequal and privatized economic systems. That said, it is worth recognising that often this data simply quantifies things that we had long suspected. Freud famously observed that "love and work are the cornerstones of our humanness". Happiness economists have confirmed that unemployment and lack of family time are both very damaging to life satisfaction. How is it that a transformative, progressive political agenda has morphed into a new form of behavioral management? The problem is that quantification and economics are never innocent in all of this. By reducing the relationship between mind and world to a quantitative ratio, wellbeing metrics offers a simple choice of how to pursue progress: do you seek to change the world or to change the mind? The philosophical relationship between critical subjectivity and objective circumstances comes to appear like a set of scales to be balanced, in which the weight on either side can be adjusted. There are plenty of critics who employ happiness data to demand a change in our political economy. The Spirit Level, by Richard Wilkinson and Kate Pickett, is one of the most prominent cases of this, focusing on inequality. Psychologists such as Tim Kasser have developed their own measurement tools to demonstrate the negative impact of materialistic, competitive cultures on our wellbeing. But they appear to be in a shrinking minority. Why? The answer brings us back to Gary Becker. At the core of both neoliberal thought and US culture is the belief that the central questions of political organisation have already been answered. They are therefore beyond the scope of political transformation or democratic debate. Just as the US constitution seeks to provide the 'rules of the game' that any American has to play by, so neoliberals have sought to entrench free market capitalism as the only 'game' available—the German neoliberal, Franz Böhm, even spoke in terms of establishing an 'economic constitution.’ Anyone can succeed or fail, but to do so, they first have to accept that the game itself is permanent. In this context, the question of political or economic transformation becomes forcefully thrust back upon the individual. Given that capitalism cannot be transformed to meet human needs, humans will have to transform themselves to meet capitalist needs. Gurus such as Achor or Zak provide this philosophy with its optimistic, smiling face: I changed myself, and so can you! But in the murky world of workfare 'behavioral activation' programmes, it takes on a more punitive dimension. The idea of 'entrepreneurship' may summon up heroic visions of Steve Jobs, but for many more people it means having to be entirely amenable to the fluctuating demands of capital, on a quite fundamental and personal level. When professions such as journalism become prefixed with the word 'entrepreneurial', this means one thing only: augment yourself or die.